The Ted Rogers School of Management in Canada has a course that explores the opportunities and challenges of working in and managing diverse and inclusive workplaces. The Canadian workforce has become more diverse in recent decades and is projected to be more so in the coming years. The aging of the population and the abolition of mandatory retirement means that a number of generations will be working side by side. 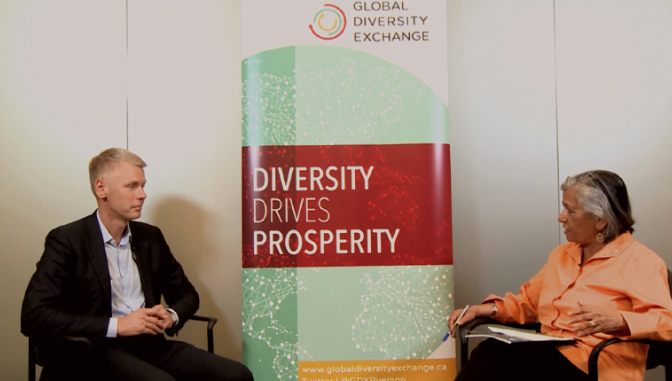 With globalization and the greater mobility of workers around the world, racial/ethnic minorities will soon account for one in three working Canadians and companies are realizing that they need to embrace this diversity in order to remain competitive. The School also has The Global Diversity Exchange, a think and do tank that focuses on the diversity that is a result of global migration.